We are a Leading Manufacturer & Supplier of Diamond Roller in India. We are offering Diamond Roller to our client. All types of Gear Grinding Dressers for different Reishauer Grinding machines . Characterized by sharp grinding, good wearing resistance, excellent chip removal and low working noise. The diamond rolls are made from the best in class EN-8 grade steel and chrome plated for the long lasting capability. The diamond designed is developed as per customers requirement. Keeping in mind the ever-evolving needs of our clients, we are devoted towards offering an optimum quality array of Diamond Roller. We are distinguished industry in market as the principal Trader and supplier of Diamond Planner Roll. - Used for bill printing purposes. To cater the variegated demands of our clients, we are highly engrossed in manufacturing and supplying a wide range of Diamond Roller. 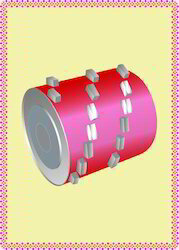 - These rollers are demanded in all workshop industries for heavy application. The diamonds are manually positioned on a negative matrix and then fixed through metallic powders sintering. Empowered with our dexterous manufacturing team, we are actively manufacturing highly durable Diamond Rollers. Known for their affordable price and sturdy construction, these rollers are demanded in all workshop industries for heavy application. We use latest technology based tools in manufacturing our diamond rollers. Moreover, our experts ensure fine finishing of these rust resistant rollers. 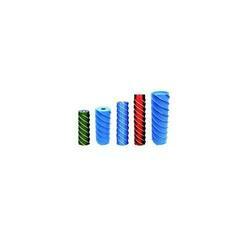 All types of diamond roller availables for ceramic polising machines.